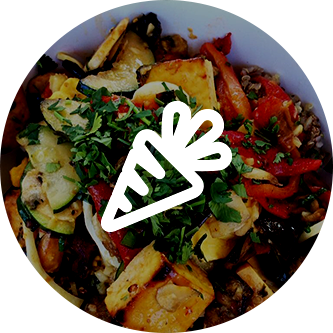 Greenspot Salad Co is proud to serve citizens in San Diego with not one but two delicious salad bars in town. Using top notch ingredients to create salads, bowls, wraps and soups that are as tasty as they sound, we aim to be your favorite salad bar in San Diego. 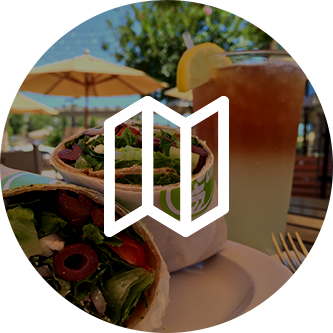 Whether you’re looking to pick up something on the go or dine-in for lunch, Greenspot Salad Co is here to provide you with the best salads and beyond in San Diego. Visit one of our two locations today! At Greenspot Salad Co, we’ve got something for virtually everyone, no matter what their taste or dietary restrictions may be! We aim to be your go-to San Diego salad bar, and by providing you with a diverse array of options, we are committed to pleasing as many tastes as possible. With this in mind, in part one of our blog series, we’ll take a look at the wide variety of options that we offer you at Greenspot Salad Co. In the past, salad bars have gotten a reputation of being boring, bland, and above all, providing customers with nothing but vegetables. While this may have been the case in the past, at Greenspot Salad Co, we make a point of providing you with more than just an average salad. One of the ways that we do this is by making salads, bowls, and wraps filled with the freshest and most flavorful ingredients, including an array of meats! Are you in the mood for something featuring tender cuts of fresh steak? Greenspot Salad Co has got you covered, with delicious options like our Baja Steak bowl. Fresh veggies like baby spinach, red bell pepper, roasted corn and avocado are accompanied with brown rice and an array of other delicious ingredients. Topping it off are tasty cuts of grass-fed flank steak. Our wraps also feature a variety of top grade and delicious meats for all of you meat lovers out there. Feel like getting a little spice with your wrap? Our Buffalo chicken wrap takes all the best ingredients like shredded carrots and celery, blue cheese and lettuce, and wraps them up with flavorful cuts of grilled Buffalo chicken. Still think salad bars are boring and flavorless? Think again. 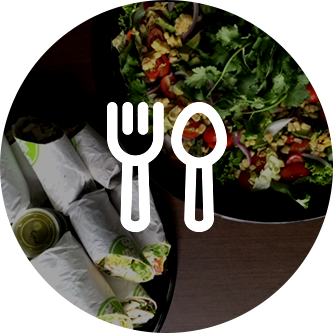 Whether you’re in the mood for a delicious bowl, a fresh wrap or otherwise, we’ve got enough things on our menu to keep meat lovers happy. On the other side of the fence, we also offer a variety of options that are vegan and vegetarian friendly. Many have the tendency to think that acceptable vegan or vegetarian options just means removing any animal products from a dish and calling it vegan, but at Greenspot Salad Co, we work hard to make sure that all of our dishes are of the best quality, filled with the best ingredients and tons of flavor! Feel like a Bahn Mi sandwich without the meat? No problem! Our Bahn Mi tofu wrap removes all the meat from a traditional Bahn Mi and replaces it with delicious sweet chili roasted tofu, alongside baby spinach, Asian pickles, jalapeno peppers, fresh cilantro and sweet chili aioli. Tasty, full of flavor, and completely vegetarian friendly! 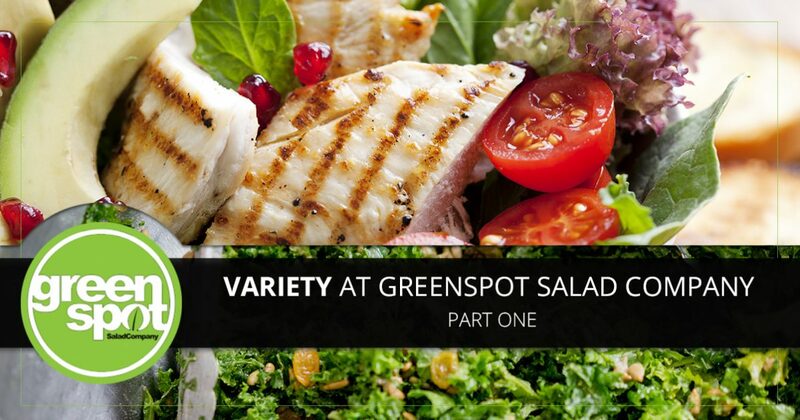 Those are just two examples of our incredibly diverse menu here at Greenspot Salad Co. No matter what you’re in the mood for, we’ve got something to please most any taste or diet. Using only the best ingredients and preparing food on the spot, providing our customers with the best customer service is key. We will continue this discussion in part two of our blog series, but until then, visit one of our San Diego salad bars today!